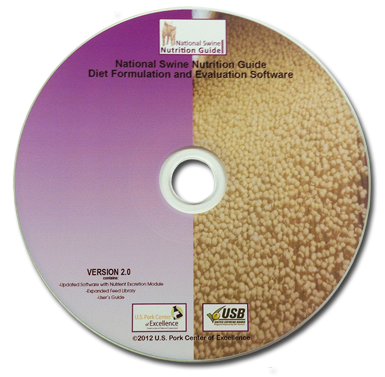 Producers can use the CD to formulate swine diets on a least-cost basis and to evaluate the nutritional adequacy of existing diets for sows, boars, nursery pigs, growing and finishing pigs, replacement gilts and boars. Please Note: Prices listed are for residents U.S. or Canada. Price for other countries will be $100, and will be reflected upon checkout.